Running in Buffalo, NY: Best routes and places to run in Boulder. 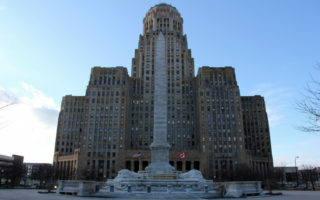 Located in Western New York on the eastern shores of Lake Erie, Buffalo is New York State’s second most populous city. The Erie Canal, Lake Erie, and railroads are an important part of the city’s history as a major trading and industrial center. 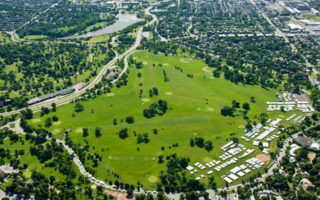 Buffalo was planned on a grand scale, with wonderful buildings, such as City Hall and the the Frank Lloyd Wright art gallery, and one of the most significant urban park systems in the country, designed by Frederick Law Olmsted. 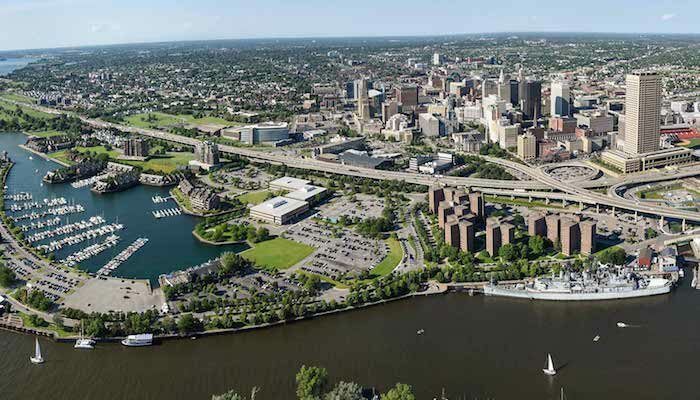 This is our guide to the best places to run in Buffalo. The water and the parks are the foundation of a terrific running scene in Buffalo. 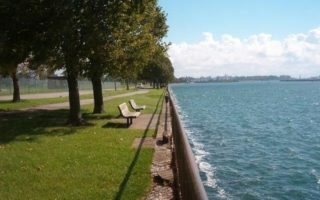 There are wonderful waterfront runs, along Lake Erie and the Niagara River, and in some of the wonderful parks and along Olmsted-designed parkways. Also, we have developed a running guide for nearby Niagara Falls with several scenic routes. Downtown itself is fairly compact, and offering lots of festivals, events, nature, recreation, restaurants, nightlife, and good hotel options. Moreover, the classic American City is widely known for its architecture, world-renowned art scene, rich cultural diversity, sports, four-season climate, and abundant green space. Be aware that Buffalo can have cold and very snowy winters due to lake effect snows. Bring winter running gear! The NFTA operates an extensive bus system. Metro Rail light rail/subway operates through Buffalo’s central business district, starting at the University at Buffalo, ending at Erie Canal Harbor Station (downtown Buffalo), with eight underground stations and five above ground stations. Wonderful running in Olmsted designed park. Nearby parkways also pleasant for running. We've mapped a 10k perimeter route. Also the 1.75 mile "meadow loop" trail is a great way to see the park. A 4.5 mile 'runseeing' tour of downtown Buffalo, passing several notable historic buildings and sights, such as Fountain Plaza, City Hall, and Lake Erie County Building. Great waterfront park in Buffalo and part of the riverwalk system. Terrific running path is 1.7 miles one way. Historic Colonel Francis G. Ward Pumping station, harbor views. 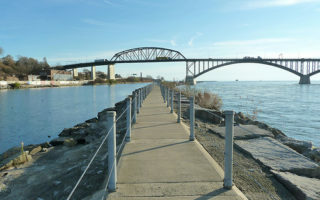 Wonderful running path with great views of the Niagara River, Lake Erie, and the Peace Bridge. Accessible from Broderick Park. Bird Island Pier path is 2.2 miles. 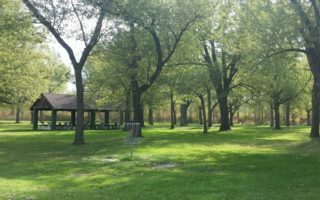 Unity Island Park adds 1.8 miles, so total RT can be 7.5 miles. Another great spot for waterside running in Buffalo. 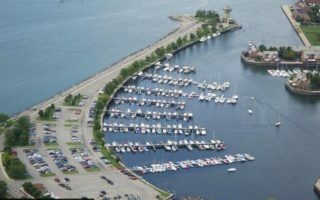 The highlight is the 1 mile path along the Erie Basin Marina, which has lovely manicured gardens along the water, and views to Buffalo Main Light. a four season climate. 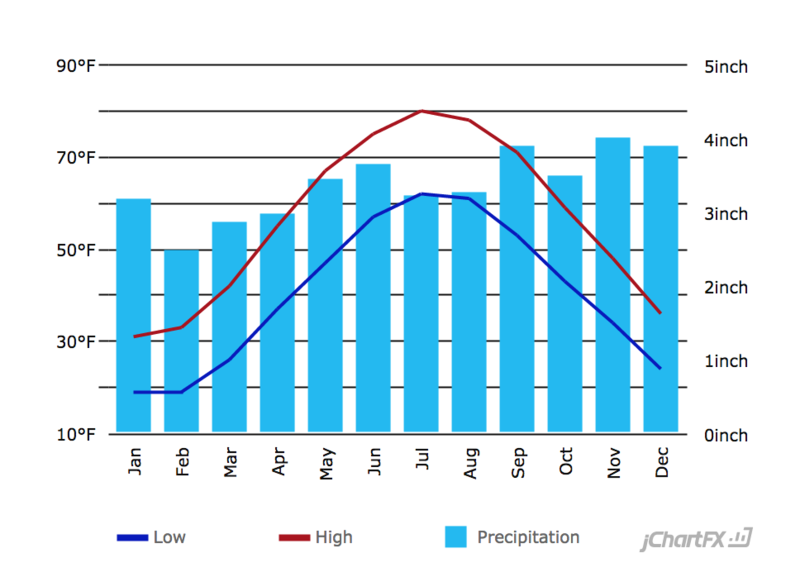 Lake Erie is an influence, resulting in lots of overcast, precipitation falling on nearly 50% of days, and an average of 92 inches of snowfall annually. There are years when the snow can really stack up. Average January highs are around the freezing mark. Summers are warm and humid, with average high temps around 80F. Fall in the area is gorgeous. 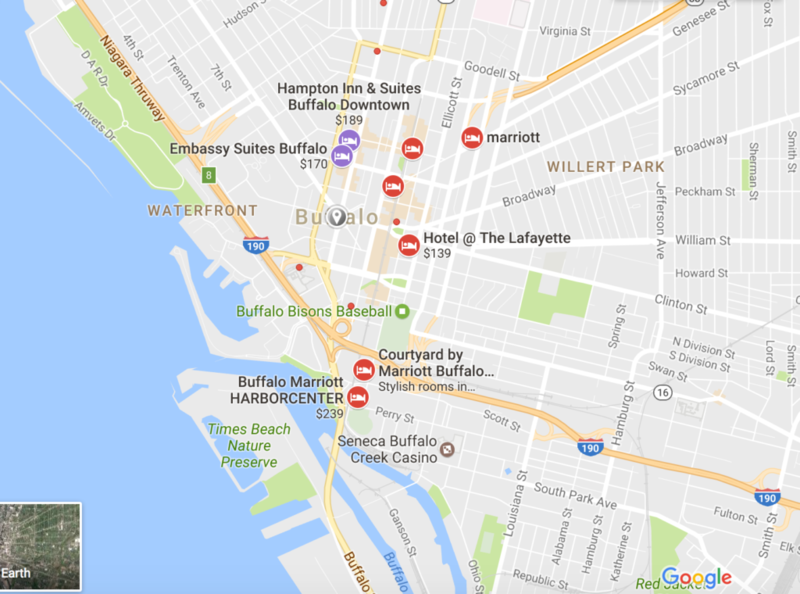 Buffalo has a reasonable number of hotels in the downtown area, between S. Elmwood and Michigan Ave. and near the Convention Center. For good downtown running, try to stay near the water (Lake Erie, Buffalo River), such as at the Marriott Harbourcenter. There is also a cluster of hotels near the I-90/I-190 intersection. Fleet Feet Sports Buffalo – Downtown. Group Runs on Mondays and Wednesday evenings at 6:00 p.m. with 2, 3, and 5 mile options. Leaves from store location. Rick’s Sports and Apparels – Downtown. Free Speed Sports – Downtown. Heart and Soul Run – February. 5k. Old First Ward Shamrock Run – March. 8k. Dolphin Dash – April. 5k.